Week after week, i come back to talk about the movies that are moving Portugal. In this case to the cinema dark room. And this week we have 1 new films at the top 10 spots and one very close to it. That last one was a big dispointment but one that was already expected. Just not that bad. And yes, we have a new number one. I wasn´t expecting a opening this strong for the film. It did really impress, considering it was voted one of the worst films of 2005 in the U.S. This week counted 220603 spectators (A 3% drop from last week) in theathers all across the country for the top ten movies. We are having a February with small drops from week to week. A kind of stagnation at the 220000 spectators/week. Not impressive but not bad either. And it´s a surprise. I didn´t expect it to do so great but i guess Miss Theron really has some leverage here in Portugal. When a movie is bashed or ignored by the critics, voted one of the worst of the year and still goes number one makes one wonder. Or maybe not. 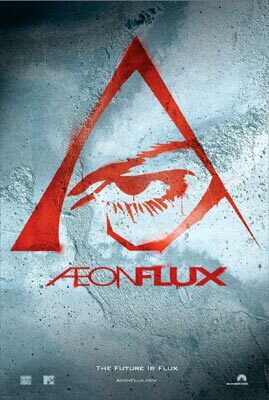 With 41609 spectators for the week, "Aeon Flux" managed to take the number one spot from "Munich". It won´t top it but at least it beat it for one week, hehehe. At number 4 we have "Syriana" and considering it is a Political thriller i wasn´t expecting to see it this high. A political conscience is forming around the world. When like 6 years ago, we weren´t political, now everyone has it´s opinion. It´s the world we live in. Terrorism brought, with it, awareness of the world. It´s sad we needed terrorism to get it. It got 25303 spectators in it´s first week. An ok opening. "Bambi 2" at number 5. The sequel to one of the biggest animation classics. It really is that big. It´s was a gigantic task to improve on the original, ok it was impossible but the movie opening to show kids how animation was in the past is a great oportunity to them. If i was a kid i wouldn´t miss it. At least if i was a father i would bring my son to see it. Since i´m not i tend on buying the special edition in DVD if Bambi 1. For 350 spectators, it´s out of the top 10 movies is "Walk the Line", in number 11, the story of Mr Jonhy Cash. I had already told that Cash is relatively unknown in here. Nobody knows who he is and what he stands for. So it was always a bad choice to open the movie here. With 11031 spectators in 26 theathers it´s a very bad opening. maybe Reese oscar will bring it some glory, but it won´t bring much. Finally the last opener, we have "The Three Burials of Melsquiades Estrada". Tommy Lee Jones in it´s directorial debut in cinema, does the amazing and the not expected. A good movie. At least by the critics opinion since i haven´t seen it. And cannes can´t be wrong right? Wrong. Sometimes it was but like any awards they always get them wrong in our opinion. It managed 2758 spectators and the number 17 spot. No big openers next week. But we will see. Sometimes we get surprised.